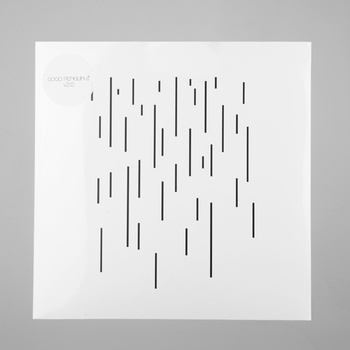 The second album by Manchester based piano trio GoGoPenguin offers yet another reminder of what a fertile ground for jazz the UK – heck, even just the north – is these days. We’re quite lucky to have the Mercury Prize gently suggesting to us every year that the genre still exists as a creative form (even if they did decide not to bother last year), but even without the tokenistic nod towards this faraway land of drum solos and seventh chords, we don’t need to look pretty far – thanks to there being a jazz festival on at pretty much every major town in the country these days – until we come across a fantastic new innovative band that changes our own musical landscape. For me, GoGo Penguin might just be that band. The piano trio is essentially jazz’s version of chamber music, with a tradition of beautifully communicative and holistic ensemble playing that emphasises cooperation and egalitarianism between performers; nestling within the tradition of ‘I’ll lead and you follow’ that is the essence of most jazz music in general. It is a wonderful form, and therefore no surprise that when you think of some of the great pianists of jazz history (Keith Jarrett, Bill Evans, Art Tatum and Duke Ellington to name a few), some of their best work has been in this field. So basically, above all of this great music, if you want be heard, you have to either be astonishingly talented (read Esbjörn Svensson), play pop covers in a knowing way (Brad Mehldau, the Bad Plus), or try and push the form in a direction it hasn’t been taken before. This is where GoGo Penguin come back in. The band themselves cite the electronica of Aphex Twin and the minimalist classicism of Arvo Pärt as influences, and without being in any way crass or self-knowing, they incorporate the rhythms and textures of these other worlds into their music, enhancing the landscape of the form itself. v2.0 kicks off with the introspective, incredibly spacious ‘Murmuration’, with a drum beat that could have been lifted off of a Massive Attack record, and succeeds in drawing you into the subtle interplay between instruments, as piano bass and drums swap off-beats, before you realize you’ve been swept off your feet and it’s all gotten twice as loud and built into a swirling miasma of driving piano and drums, bowed bass and some weird reverberant after effects of what’s just happened before. The album continues apace, pianist Chris Illingworth showing he has a way with melody in both his themes and his improvisations on tracks such as ‘Kamaloka’ and a keen sense of tension and release on ‘The Letter’ (apparently recorded ‘in total darkness’ according to Illingworth). But it is the rhythm that is the most exciting. Drummer Rob Turner tears about the album with reckless abandon for what jazz drumming is supposed to sound like, with his kick drum sacrilegiously close mic’ed and playing fast, intricate patterns that wouldn’t be out of place on a Goldie remix. In fact, Turner sounds more like Clive Deamer circa Roni Size and Portishead then Deamer does in his own jazz band, Get The Blessing. The minimalist influences are a little harder to find within all the bashing of the drums but are still very much present. The gorgeous sparse opening piano statement on ‘Fort’ and the sustained bowed bass on the intro of ‘To Drown In You’, followed by a very much tonally ambiguous piano theme, suggest an ear for the melancholy and sublime that might leave you cold if it were lacking. The bonus tracks on the deluxe edition offer more in the way of atmospherics and dynamics, especially on ‘Break’, but mainly serve to remind you of the general pointlessness of these additions – surely there was a reason they left them off the album in the first place? v2.0 is a very fine record however, and whilst it could offer more in terms of virtuosity and innovation in the solo playing, it shows an increase in maturity and musicianship from their debut, and re-emphasises the belief that jazz, and the piano trio in particular, is still one of the most inclusive and forward thinking musics across the British Isles. That’s something to remind the Mercury judges next time they neglect to pay lip service to the genre anyway.